This time of re-balancing is more about the male of our species , it is their time for embracing the feminine within them. For women of power, it is a time to pull in the reigns of power and regain their balance, with love. The scales are to be re-balanced within all of us no matter how far to one side or the other we are facing. The tide here, has also been turning slowly over the past 20 years. With more house husbands embracing their nurturing side and being an active co-creator in their children’s lives. There are also more men in care work jobs and nursing today for example. Their mission is to re-balance, reconnect and remember their inner child, that once relished in the divine love of the feminine, that also resides within them. 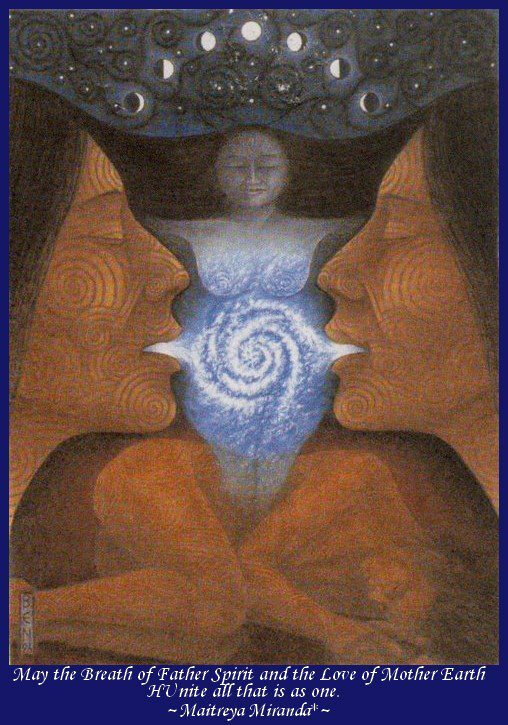 We all encompass both male and female genes, yin yang energies that need to be expressed equally for us to be fully functional human Beings. More and more are awakening to the truth about this Golden age and the misconception that we will shift from a Patriarchy to Matriarchy society. We are all one, equal in the eyes of the Creator. The time of separation is ending. The field of consciousness is reflecting back to you right now. Take a look at your scales…where are you out of balance? what can you remove? Transmute? Or Add to bring about balance? This entry was posted in Lifes Musings. Bookmark the permalink. Excellent post, Maria. I’m actually being called right now to take up the male energy of discernment and progress, yet with the balance of the feminine heart of compassion and care. Check this out that I just watched!!!! !